A vegetable based soap made using natural ingredients. Deliciously fragranced using pure lemon myrtle oil. 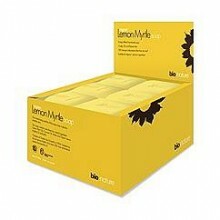 Click the button below to add the Bio Nature Organic Lemon Myrtle Soap 88g to your wish list.